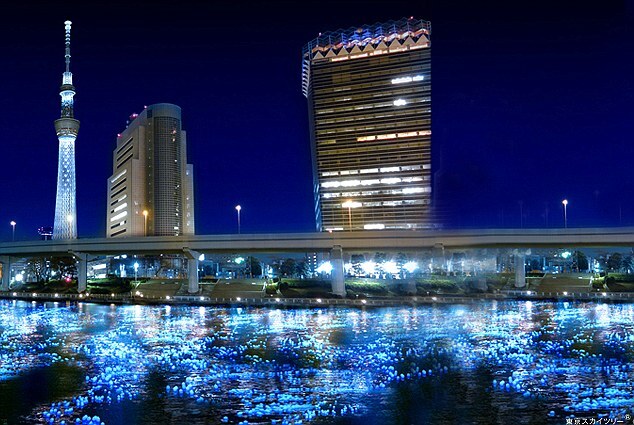 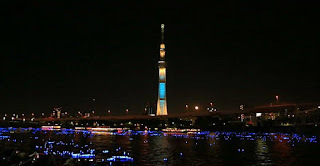 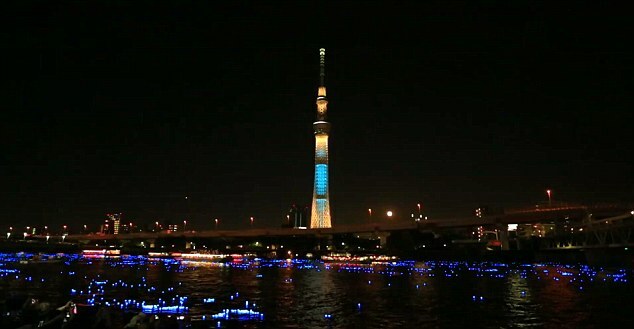 The annual Hotaru Festival, located in Tokyo, Japan is a bright tradition which was inspired from watching fireflies float down the river, and along waterways. 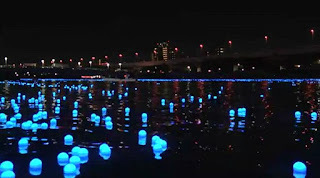 The water during this festival featured a bright, vibrant blue color, created by over 100,000 solar powered LED Bulbs floating down the river. 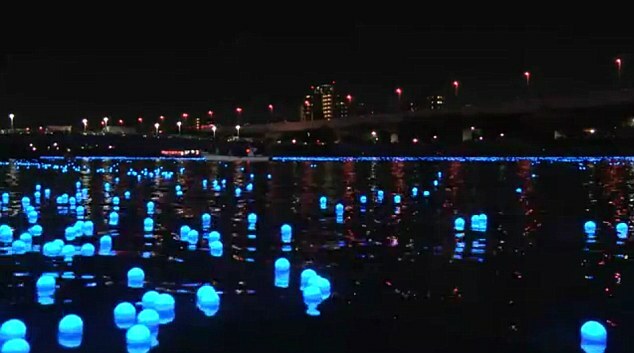 Participants according to CNET bought these LED bulbs and threw them into the river to recreate the firefly effect sought after by the festival. 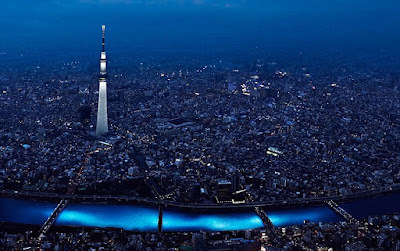 Over 300,000 participants showed up for the event and ended up being a photographer's Candyland.